The 17-year-old US singer’s debut, When We All Fall Asleep, Where Do We Go? went straight to number one, with a combined 48,000 sales. She breaks Joss Stone’s 2004 record by about two months. It’s also the second-fastest selling record of the year, but still some way behind Ariana Grande’s Thank U, Next, which shifted 65,214 units in week one. For context, she can’t legally celebrate this chart news with an alcoholic drink in the UK until her birthday in December – or for another three and half years back home. 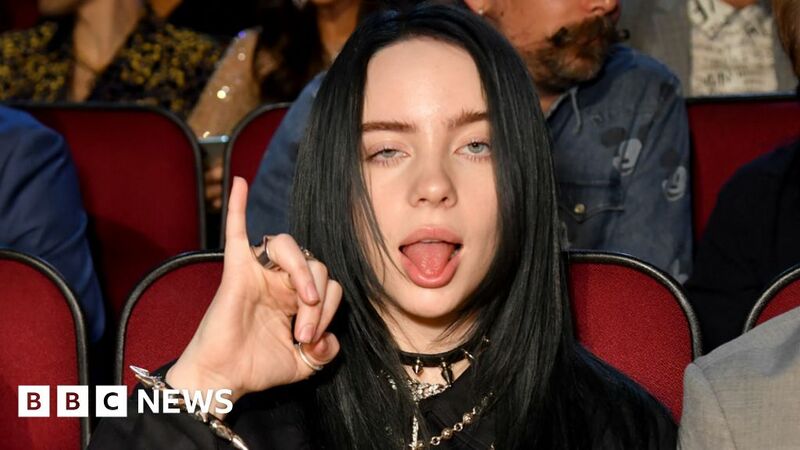 The self-professed new goth pop queen – who will perform at Glastonbury Festival this summer – has enchanted fans and critics alike over the past 12 months with a succession of provocative videos and singles like Should See Me in a Crown, Bury a Friend and Wish You Were Gay. You can watch her performing the last one for Radio 1 at the BBC’s Maida Vale Studios recently below. Three singles from Eilish’s record-breaking album have landed in the Top 20 too, with her latest release, Bad Guy, going straight in at number two.